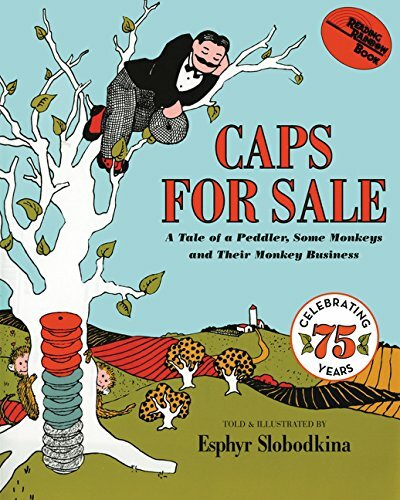 We read Caps For Sale by Esphyr Slobodkina, and practiced addition, subtraction and sequencing with tiddly wink chips. Today we played a board game that required both addition and subtraction skills. Each child has individual strategies for solving math sentences. Some are looking at the numbers hanging on the clothesline, some are using number lines and their fingers (which are always handy and available). Some are practicing mental math, some are crossing out or drawing dots. It all works. I’ve told the children that there are many methods to finding the right answer and I’m encouraging the children to use several strategies so that they are comfortable with variations. These kids rock!